Mitra's stout and vociferous protest to what most see as Tata's meandering and even affectionate critique has taken people by surprise, says Malavika Sangghvi. Will the war of words between Ratan Tata and West Bengal Industries and Finance Minister Amit Mitra make a difference to the way Kolkata - and West Bengal - is perceived? The whole business of name calling between the two of them began pretty innocuously as these things do, with the lofty and shy business leader, still one of the most respected in the country, weighing in on West Bengal's industrial development (or lack of it). Addressing a Ladies Study Group organised by the Indian Chamber of Commerce, Tata had said: "It has been about two years since I came to Kolkata … While driving from Rajarhat, I saw it is an unbelievable change in terms of new buildings. But it still looks like countryside under development. I do not see much signs of industrial development." These gentle words, some of praise, some of concern, prompted Mitra to launch a fulsome attack on Tata, calling him delusional, off his mind, and making snide remarks about his hobbies. Of course, all this is not without its back story. When Tata had embarked on one of his dream projects, that of creating a 'people's car', he had entrusted that dream to the state of West Bengal, where he had set up the Nano plant in Singur. Mitra's leader, Mamata Banerjee, then in the Opposition, had led a campaign against the project on behalf of the landowners in Singur who were unhappy with the price they had been paid for their land. 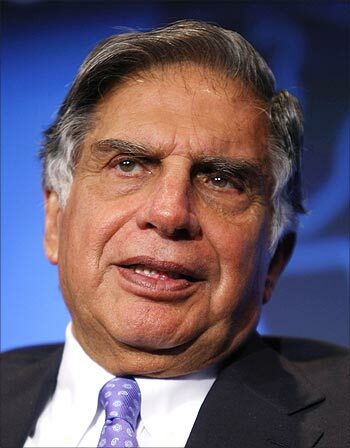 Perhaps for the first time in the history of the Tata group, its image of being a company of nation-building philanthropic visionaries had come under fire. It had to shift the Nano plant out of West Bengal and in to Gujarat. The bad blood between Banerjee and the group never abated. Mitra's stout and vociferous protest to what most see as Tata's meandering and even affectionate critique has taken people by surprise. It is no secret that West Bengal's industrial growth could do with a bit of acceleration. But that does not mean that in its absence, there is little else to admire it for. Recently, I had occasion to visit Kolkata for two events that certainly would gladden the hearts of those concerned about its development. The first was a wine exposition attended by the country's leading wine makers along with many from abroad. Organised by the Tata-owned Taj, not only was it up to international standards of the industry, with care taken for serious education and discussion by experts, but the people who flocked to it displayed that one quality that has set Kolkata apart: genuine interest in the finer aspects of life and a passion for learning. Compared to the superficial, supercilious and self-serving crowds at similar events held in Mumbai and Delhi, I found a remarkable difference of approach amongst the oenophiles. The second occasion was even more an example of why Kolkata remains one of the few genuinely refined and sophisticated cities of India. Anamika Khanna, the reclusive and shy designer, had a rare and much-awaited exposition of her new couture collection at her flagship store on Kolkata's sleepy Outram Street. Fashioned out of what appeared to be gossamer, silk, fairy wings and whispers, the 34 exquisite garments muted the otherwise talkative claque of the country's top fashion writers into hushed dreamy reverence. The swathe of Kolkata's movers and shakers who attended were also indicative of the city's cache for gentility and elegance. Amit Mitra should cease to take umbrage over a casual remark. He 'doth protest too much'.